THIS IS SO CUTE. Belgian artist Adrien Noterdaem runs the Tumblr Simposonized where he takes noted figures in pop culture and illustrates them in the classic Simpsons style. (Here, for example, are Omar from The Wire and Saul Goodman from Breaking Bad.) His most recent series depicts the characters from Downton Abbey and they all look great. My personal favorites are the Dowager Countess (above) and Lady Sybil (below), but, honestly, I'd be hard pressed to find one I wasn't into. 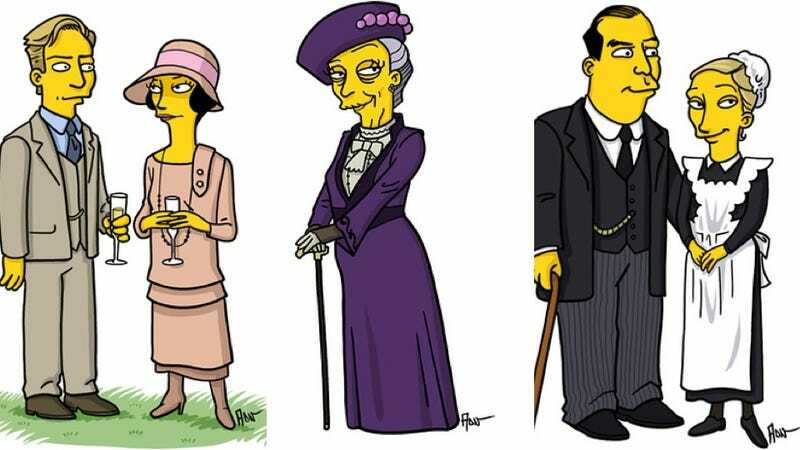 Wouldn't it be cool if they did a Simpsons/Downton crossover episode? I feel like Smithers and Carson could really learn a lot from each other.